Do you urgently require a Toshiba laptop keyboard repair? Did you spill your morning coffee on your laptop? Then please feel free to get in touch with Creative IT at any time. We are a well-renowned professional computer and laptop repair company that specialize on repair of all major PC and laptop brands available in the market at present. Creative IT is based in Central London, UK and has been delivering quality services coupled by competitive rates and customer satisfaction. As part of our Toshiba laptop keyboard repair service in London, UK we can undertake any keyboard that falls into any of the Toshiba laptops series. There are quite a lot of reasons why the keys of a Toshiba laptop keyboard would require repair such as damage due to rough usage, due to spilling of liquids on the keyboard, damaged connecting cable of the keyboard, weakening of the rubber parts that endow the snap action of each key, infectivity by dust or hair and much more. All these problems may consequently result in faulty or sticky keys that types multiple or wrong characters or does not work at all. Whether for mechanical errors or human errors, the highly trained technicians at Creative IT possess the potential to identify, diagnose and resolve the problems within a few minutes. All types of laptop keyboards can be repaired at Creative IT such as an external laptop keyboard with a PS2 or USB port or those with an integrated mouse. We can also replace your old damaged Toshiba laptop keyboard with a new one at affordable prices. 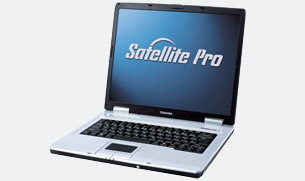 You can access our Toshiba laptop keyboard repair and replacement services at just a call out basis with which our experts reach you at your doorstep within 2 hours response time. The matchless repair services of Creative IT include same day onsite Toshiba laptop repairs whenever possible, even evening and weekend Toshiba repairs are also available. So, if you are planning to avail of our Toshiba laptop keyboard repair or replacement service, call us at 020 7237 6805 or email us at info@creativeit.tv and find out how we can be of assistance to you at the earliest.